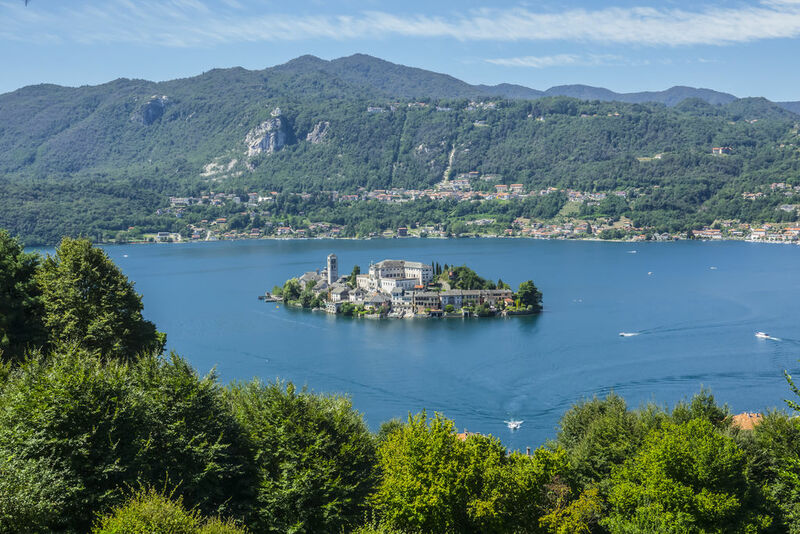 This tiny (300m long and 160m wide) jewel of an island on Lake Orta houses the Basilica di San Giulio, probably founded in the 4C. Inside there is a lovely 12C ambo (pulpit near the choirstalls), decorated with frescoes by the school of Gaudenzio Ferrari (16C). In the crypt is the shrine of St Julius.